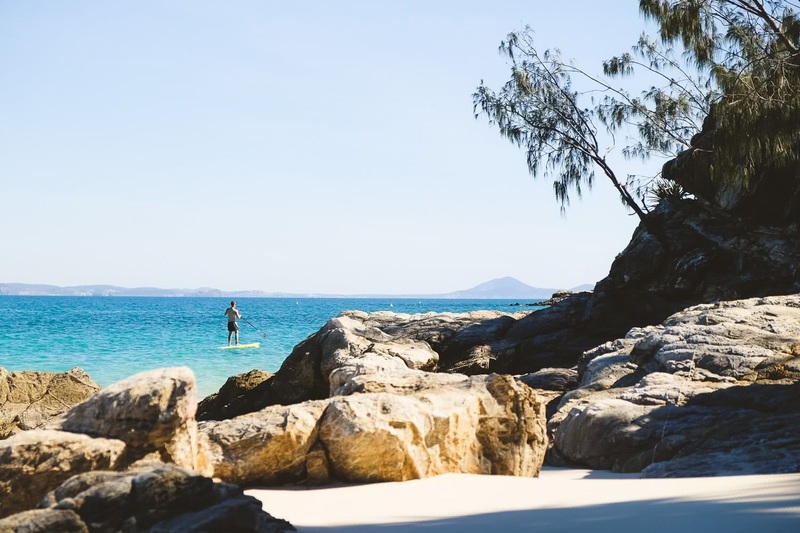 Both Great and North Keppel are the largest islands in a group of 16 smaller islands and rocky outcrops that make up the Keppel Islands. Some with cliffs that plunge into the sea and others with quiet “squeaking” white sand beaches. All situated on Australia’s Heritage listed Southern Great Barrier Reef. 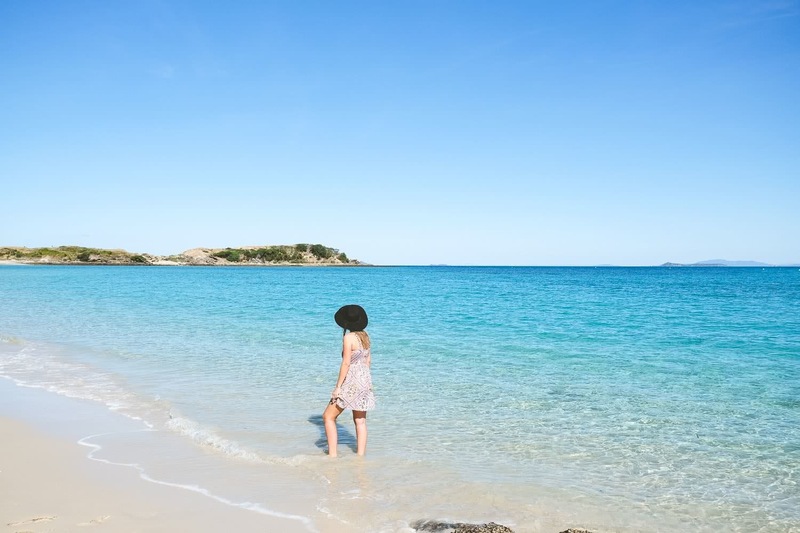 My Husband and I snuck away for a day trip to the stunning Keppel Islands. Our wedding anniversary treat! A short 30 minute boat ride and we found ourselves on Fishermans Beach in the inviting Keppel Bay, with winds blowing a calm 3.5 knots, sunny and clear with a temp of 23° — blissful! First off the Ferry we hired some snorkels and fins from Keppel Water sports and made direct tracks to Monkey Beach. My husband hiked one of the many walking trails which was equally as breathtaking as the SUP ride I made through the azure waters (mind you a little rough around the points). We rendezvoused on the insanely peaceful Monkey Beach, with both trips taking around 30mins. After a much-deserved break, we were ready for some champers and our picnic rug. We snacked a little before exploring the striking white coastline and rocky cliff edges. We exchanged a few tips with one another before making our return journey to Fishermans Beach. He paddled and I walked the trail. Climbing up Monkey Beach exit was a challenge that needed both hands as it was made of steep tree root steps. Once at the top my reward was in form of a remarkable view, to the left an expansive ocean view and to the right a stunning valley of bushland. Once on top of the ridgeline, the track was semi-flat with some shaly rock steps. 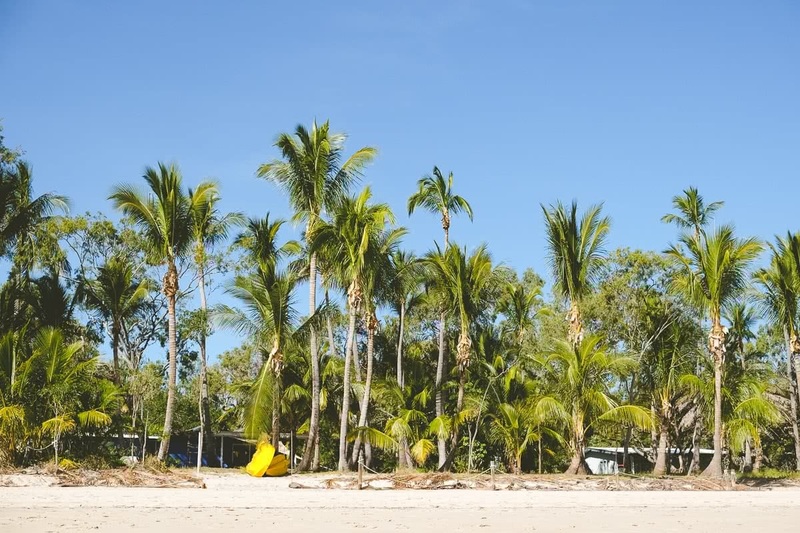 There were options to turn off onto other bush trails or continue onto Fishermans Beach which was a stunning sight to see — back to palm trees and crystal-clear water lapping the white sand. We met up near Keppel Watersports and made the plan to have a drink at the Hideaway Bar. What an amazing way to finish a stunning day, taking in so many experiences. There is so much more to see and explore on this slice of heaven, this was only the beginning! 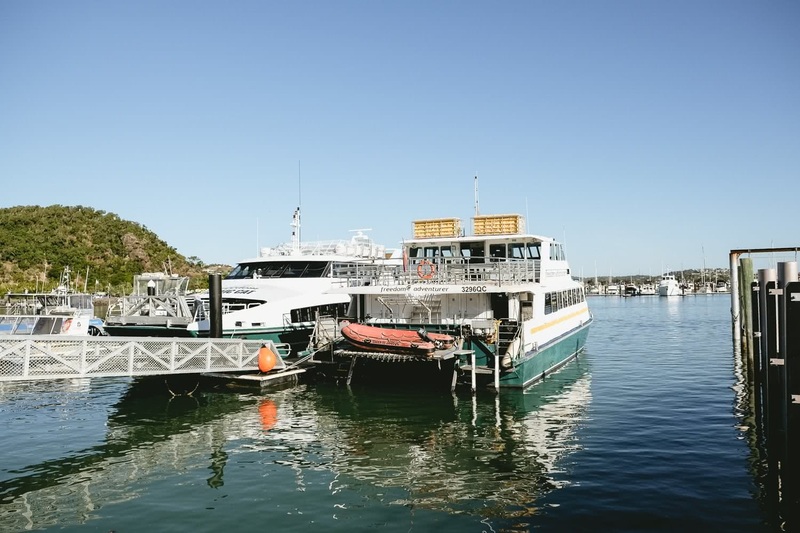 You can depart for the Island from Rosslyn Bay Marina which is just south of Yeppoon on the Scenic Highway. Transfers can be organised with either Keppel Konnections or Freedom Fast Cats. 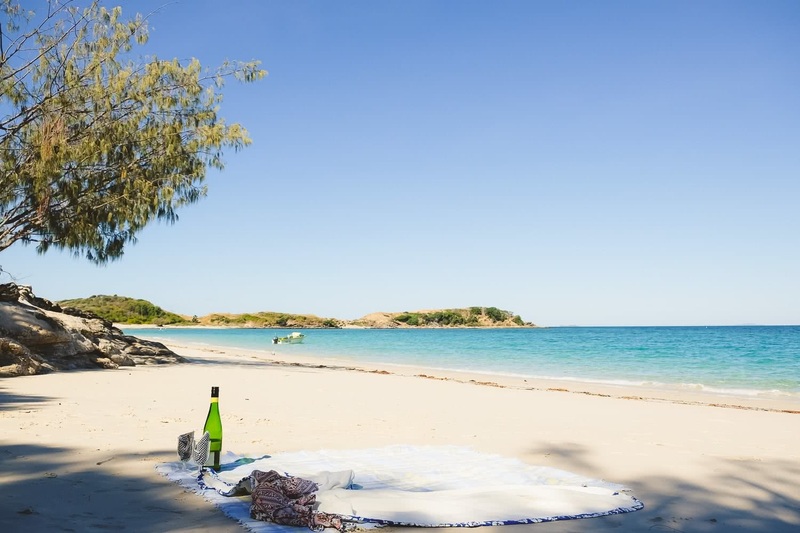 There are no roads on this little slice of paradise, only sand tracks for the 4WD transport & 1 or 2 vehicles (that will pick you up from the beach & transport you to your accommodation). 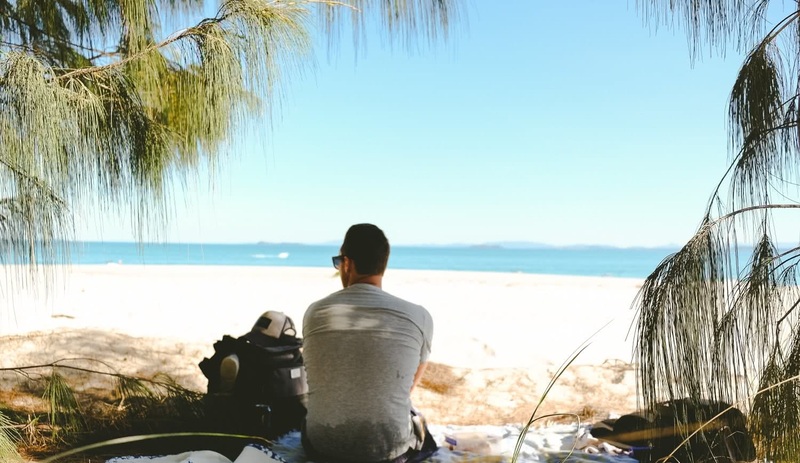 No skills are required to soak up some sun on the glorious beaches. However, an intermediate level of fitness is required for some of the walking tracks.